Home / Savings Blog Posts / Holidays / 4th of July Recipes / Strawberry Lemonade Popsicle Recipe! Be sure to check out this Strawberry Lemonade Popsicle Recipe for a delicious Summertime Treat for your family! 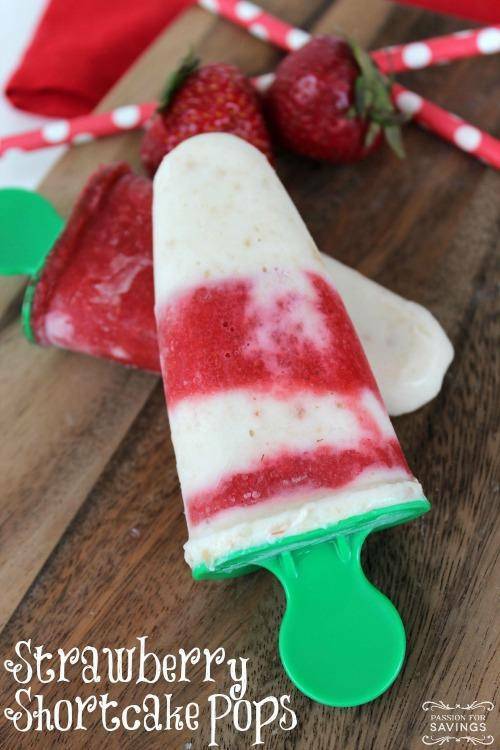 Try this Strawberry Lemonade Popsicle Recipe today! The best part about summer is being able to enjoy all of the delicious treats that comes along with it! Try this recipe now for a day by the pool or to cool off after a long day in the sun! I know you can pick strawberries at a strawberry patch in my town, this could be a fun thing to do with the strawberries after you pick them! Plus, it would be a great way to get the kids involved! Pour ¼ C. of lemonade into each popsicle mold. Next add 1-2 tbs. of fresh strawberries (use your judgement on this, you don’t want the molds overflowing but you can add more or less fruit if you’d like). Use one of the popsicle stick to push the fruit down toward the bottom of the mold. If using popsicle sticks, cover each popsicle mold with a small piece of plastic wrap. Use a knife to make a slit directly in the center of each popsicle. Next add the popsicles sticks and freeze. *Makes 8 servings. 1 popsicle = 1 serving. You can get Popsicle Molds at the Dollar Tree, or you can order these Tovolo Ice Pop Molds (Set of 6) for $12.79 at Amazon! Receive Free Shipping with Amazon Prime, or Free Super Saver Shipping on orders of $35 or more! Plus, there are many different types of Ice Pop Molds to choose from! Also, be sure to check out my Strawberry Shortcake Pops Recipe for another delicious Strawberry Popsicle Recipe!